Home > Games	> New Kindle apps! Puzzle Game, Language Tools and Active Fiction! New Kindle apps! Puzzle Game, Language Tools and Active Fiction! 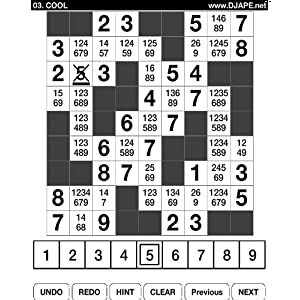 ‘Sudoku Straights: Where Poker Meets Sudoku (A Puzzle Game for Kindle)‘ by DJAPE is available on the Amazon Kindle site for $0.99. Just click here to download! A hybrid between Poker and Sudoku, Sudoku Straights brings you the fun of both worlds. This game contains 150 puzzles with thousands of poker straights inside them. So, turn the page, lets flop some puzzles and hope for some luck on the river! Hold’em! 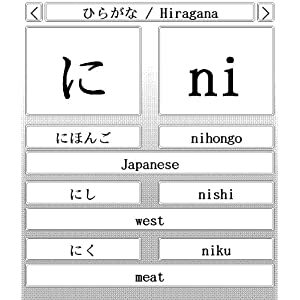 ‘Kana Learning Tool (A Japanese Language Tool for Kindle)‘ by Juraj Mojzis available on the Amazon Kindle site for $0.99. Just click here to download! Kana Learning Tool will help you learn all basic characters of both Japanese syllabic alphabets Hiragana and Katakana. Features include 208 Kana flash cards for Hiragana and Katakana, vocabulary examples for each character and interactive quizzes to help you with memorization. ‘PenguinRoot Spanish Verbs (A Spanish Language Tool for Kindle)‘ by PenguinRoot is available on the Amazon Kindle site for $1.99. Just click here to download! 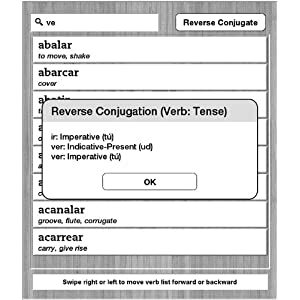 PenguinRoot Spanish Verb Dictionary and Conjugator provides language students with a convenient tool to address verb conjugation, one of the most challenging aspects of learning Spanish. This interactive reference guide contains more than 2800 of the most commonly used verbs with multiple translated meanings and conjugation into 21 verb forms. ‘King Solomon’s Wives: Hunted (An Active Fiction Series for Kindle)‘ by Holly McDowell is available on the Amazon Kindle site for $2.99. Just click here to download! The two thousand descendants of King Solomon’s harem have the ultimate power of seduction – Their very touch is as addictive as any drug. But that power comes at a price: Wives die giving birth. They can only bear daughters. They are only fertile until the age of 24. In this blistering series opener, we meet Sumarra on the night she plans to conceive. Instead, she and the other wives find themselves under attack from a group of male hunters. Sumarra has always been a rebel, breaking small rules. Now that the Wives have been found, her defiance will either be their salvation or her own undoing.